Timber Wolf Water Buffalo Fixed Blade Knife With Sheath - Damascus Steel Blade, Fileworked Spine, Buffalo Bone Handle Scales - Length 9” | BUDK.com - Knives & Swords At The Lowest Prices! 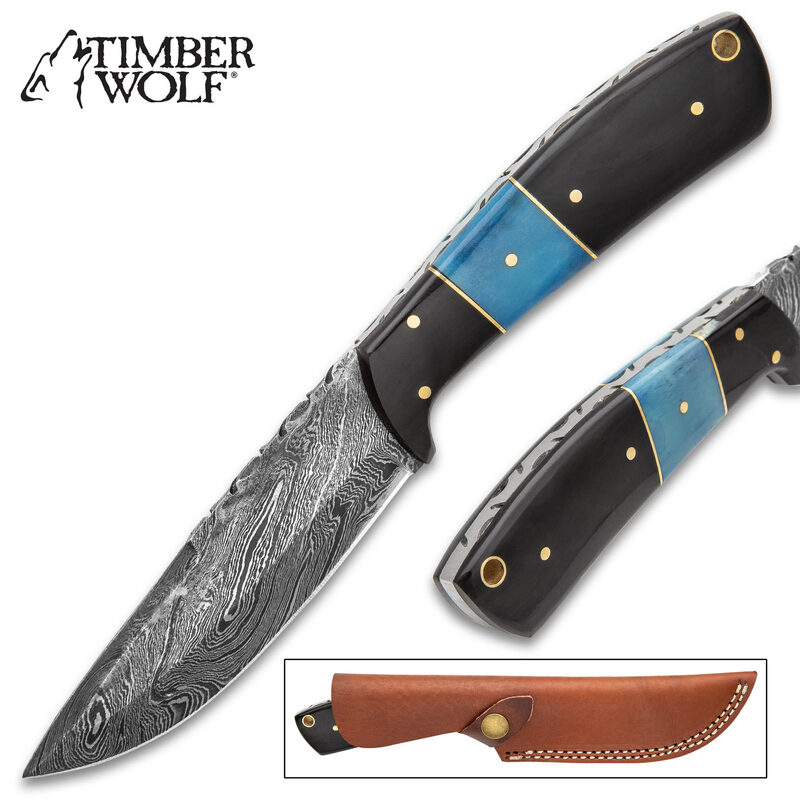 The Timber Wolf Water Buffalo Fixed Blade Knife will make quick work of all of your cutting tasks with precision when you’re out conquering the wild. It has a keenly sharp, 4 1/2” full-tang, Damascus steel blade with filework halfway along the spine and down the tang. 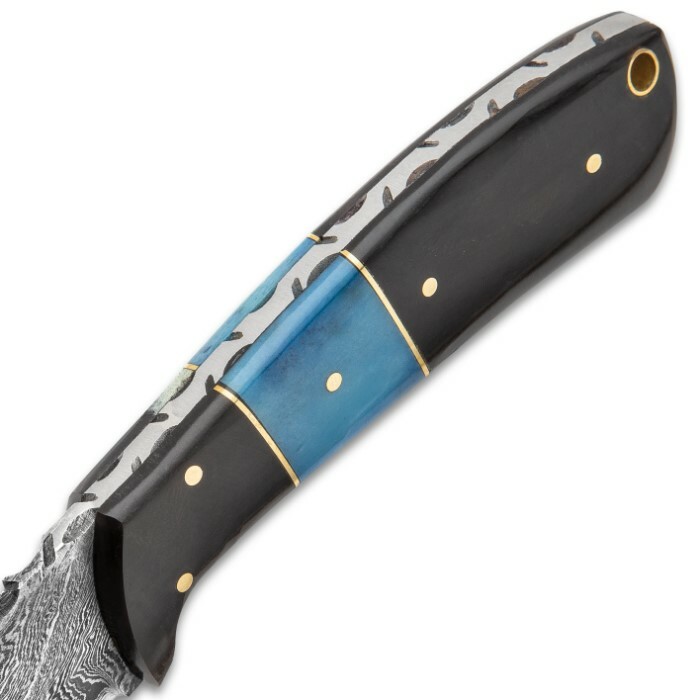 The black buffalo bone and blue bone handle scales are secured by brass pins and it features a brass lanyard hole. 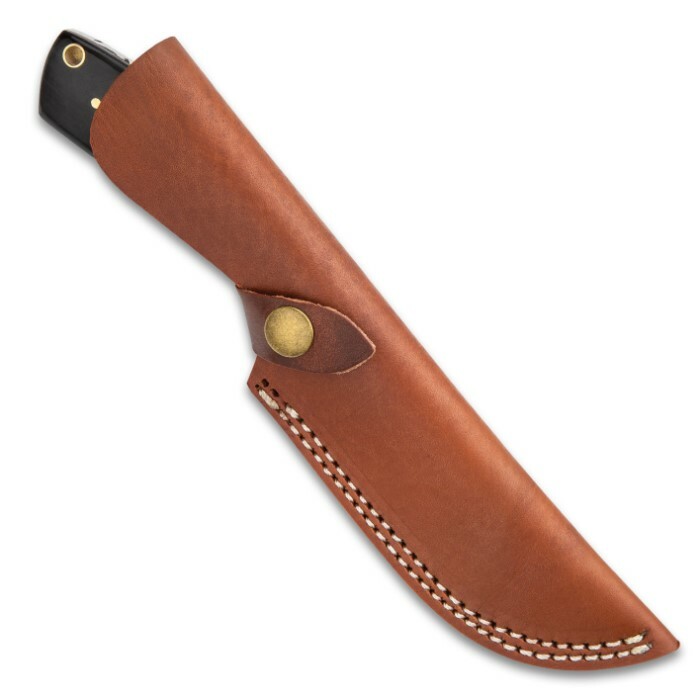 The survival knife comes housed in a premium brown leather belt sheath with a brass snap closure.